Tito is a passionate educator who brings over a decade of experience serving as an equity-oriented scholar-practitioner. A qualitative sociologist by training, his research interests converge on the intersections between critical race theory, cultural studies, and critical pedagogy. Tito’s work in schools is grounded in community-driven and culturally sustaining approaches. 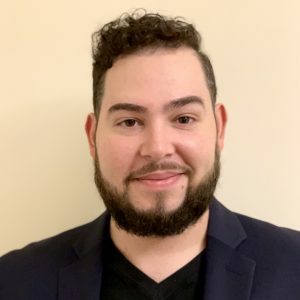 His past roles include Dropout Prevention Counselor with The Committee for Hispanic Children and Families, where he coordinated social and emotional support services for high school youth in Brooklyn and The Bronx. Tito also served as the Restorative Justice Coordinator for Make the Road New York, where he directed restorative approaches to school culture and discipline across four public high schools. These leadership positions reflect Tito’s strong commitment to youth participatory action research, healing-centered engagement, and critical hope. Tito is committed to transforming education at policy level and was appointed to the Panel for Education Policy (PEP) by New York City Mayor Bill de Blasio. He was responsible for providing standards, policies, and objectives directly related to educational achievement and instruction, and was an active voting member on all major policy changes at the New York City Department of Education. This position gave him firsthand experience into how advocates can work towards enacting institutional change towards schools more firmly rooted in anti-racism and equity. Tito is a social science researcher and educator at the Hunter College School of Education in the Department of Curriculum and Teaching. He holds space for graduate students studying to be public school teachers and counselors, to engage with anti-bias and culturally responsive education as a tool for social justice. Tito is also a published writer, whose work has been included in peer-reviewed journals and in social sciences book chapters. He has presented his research at international conferences and has served as a reviewer for academic journals. Tito holds a Bachelor’s degree in Sociology and Latin American Studies from Wesleyan University and a Master’s Degree in Social Sciences from The University of Chicago. He also earned a Masters of Philosophy from Brandeis University in pursuit of a Ph.D in Sociology. Tito is a Bronx native, proud Boricua, and life-long New York Knicks fan. He enjoys spending time with his dog Kiko, DJ-ing, and tinkering with gadgets.